Alexa Chung is the latest classic British beauty to front Longchamp‘s Spring 2014 ad campaign, and the 30-year-old model’s stunning sun-soaked St Tropez shoot certainly doesn’t disappoint. The French leather goods firm tapped the world-famous style icon to star in its upcoming campaign to mark the 20th anniversary of its best-selling Le Pliage bag. 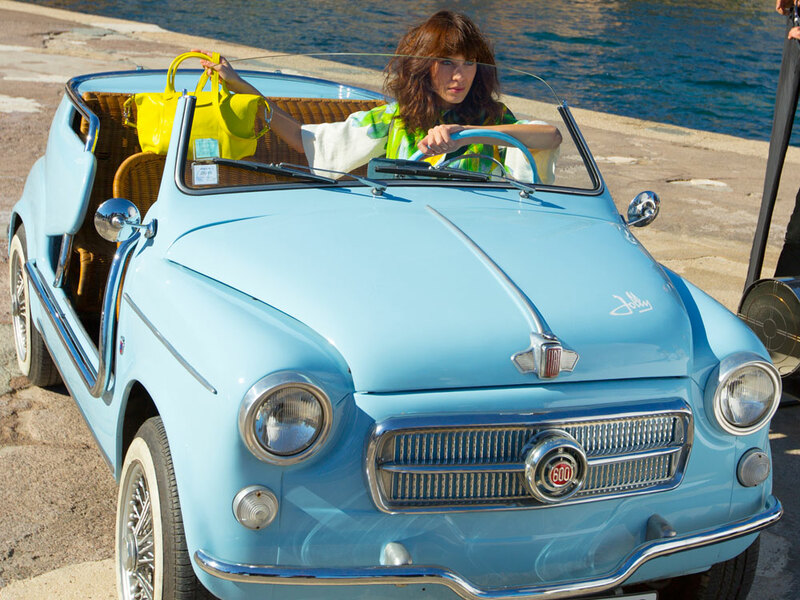 And what better way to mark a fashion milestone than to jet off to an oh-so-glamorous French seaside resort, hop in a vintage Fiat convertible and lap up the incredible scenery – all while impeccably accessorised, of course. Alexa’s chic Longchamp shoot, captured by Max Vadukul and styled by Alexis Roche, show the striking British beauty in a series of enchanting poses as she models the label’s latest leather wares. 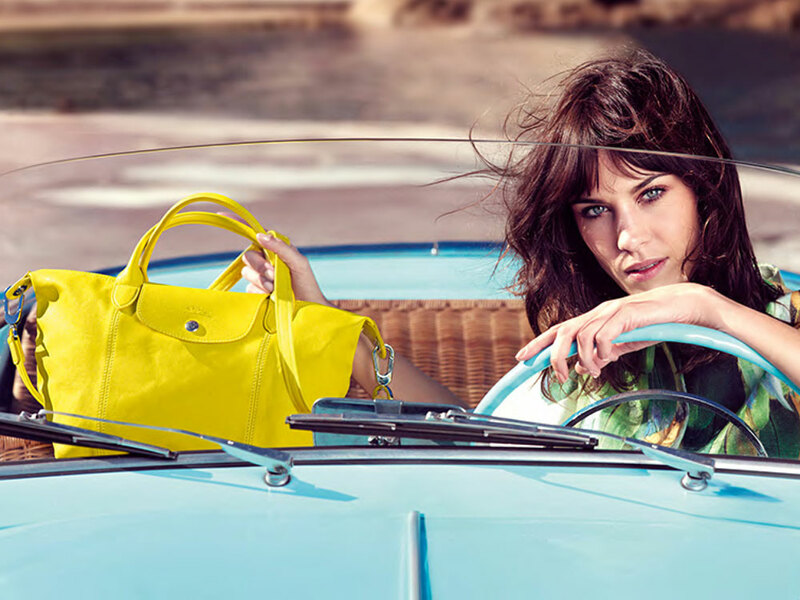 In the main campaign image, Alexa is seen behind the wheel of her powder blue retro ride, hair loosely tousled in the breeze and hand clamped firmly on her stylish passenger – a bright yellow Le Pliage tote. In another shot, we get a full-length look at Alexa’s vibrant get-up. Longchamp’s model-of-the-moment is captured striding the French cobbles in a colourful oversized white parrot print t-shirt dress and chic red pumps as she gleefully swings her fierce yellow arm candy over one arm. Love. The stylish brunette also shows exactly how to make Lonchamp’s colour pop leather wares sing – by teaming with a classic white playsuit and adorning with a luxe silk print scarf. Effortless. The full print campaign will be unveiled in February, with a short accompanying film shot by Jean-François Julien to make its debut during New York Fashion Week 2014. If anything’s going to get us in the mood for spring, we have a feeling this will be it.